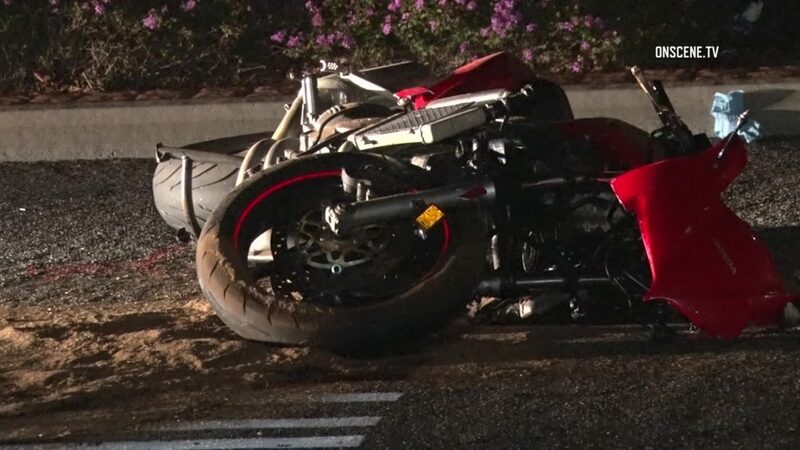 A motorcyclist suffered serious injures early Monday when he crashed his sportbike at high speed on a North County street while allegedly intoxicated and fleeing from the California Highway Patrol. The brief pursuit began about 2:15 a.m., after officers with the state agency saw the man run a stoplight on an offramp from northbound Interstate 15 to El Norte Parkway in Escondido, CHP public-affairs Officer Mark Latulippe said. When the patrol personnel tried to pull the rider over, he sped off to the south and west, soon entering San Marcos, according to Latulippe. After fleeing for less than two minutes, the motorcyclist — later identified as 36-year-old Nam Nguyen of Escondido — lost control of his red Honda on a curving stretch of Mission Road near state Route 78, sending it crashing into a raised center median, the officer said. The impact hurled Nguyen into the eastbound lanes of the street and left him with broken bones, internal trauma, cuts and bruises. Despite his severe injuries, Nguyen struggled with the officers as they tried to render first-aid while awaiting the arrival of paramedics, Latulippe said. Nguyen, who was believed to be drunk and under the influence of some other type of drug, was arrested before an ambulance crew took him to Palomar Medical Center, Latulippe said. He was unsure what kind of intoxicating substance the suspect allegedly had in his system in addition to alcohol. Nguyen also was wanted on an outstanding domestic-violence arrest warrant and was riding on a suspended license, according to Latulippe. Traffic lanes in the area of the solo motorcycle crash remained blocked off for investigation and cleanup until about 6 a.m., the CHP spokesman said.